A bespoke shed in a beach hut style. 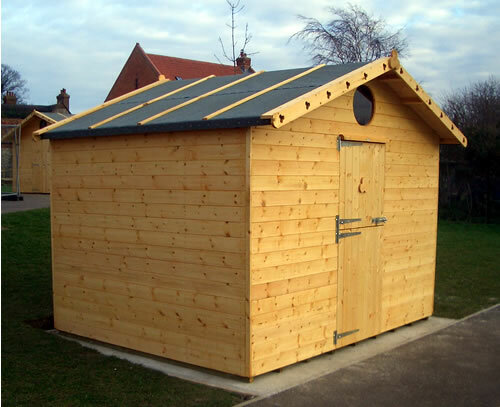 This building was commissioned by as school in Happisburgh on the Norfolk coast and wanted to keep a nautical theme for their sheds of which they ordered two. 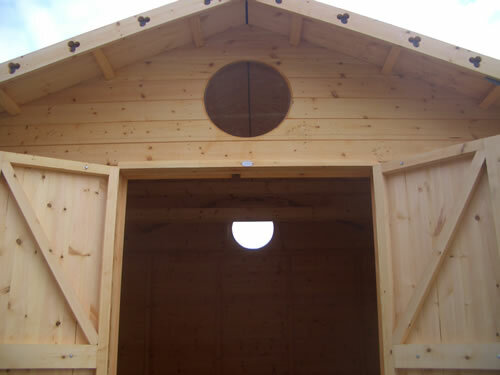 Manufactured from 22mm heavy duty cladding and featuring nautical accents, porthole windows and a stable door. 12" roof overhang to the front. Floors: Are of 12mm tongue and groove boarding as standard. A 11mm O.S. Board of exterior quality is available if required as is either 19mm or 22mm boards for extra durability. The floor is supported on close centred 2"x1½" (50 x 38mm) planed floor joists. . This deluxe cantilever chair has been designed with comfort in mind, manufactured from soft quality leather. Ideal for use in a garden office. 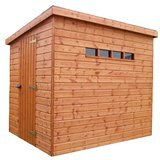 Traditional Security Shed Pent 1.83x1.83m a very secure garden shed perfect for storage. 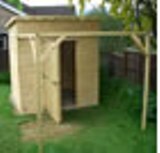 Balmoral Summerhouse 1.52x2.44m a small traditional summerhouse. 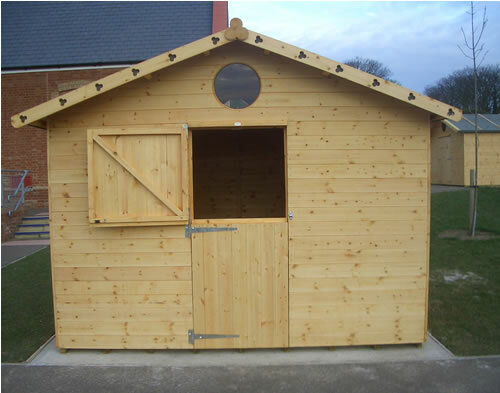 The Rhino Pent shed in 3.05x3.05. 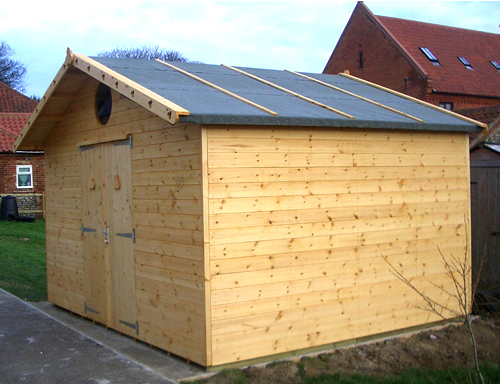 A square shed with various options available. A new Stainless Steel Gas Barbeque with stylish hood and 6 burners. Including cast iron grill, temperature gauge and full length warming rack.